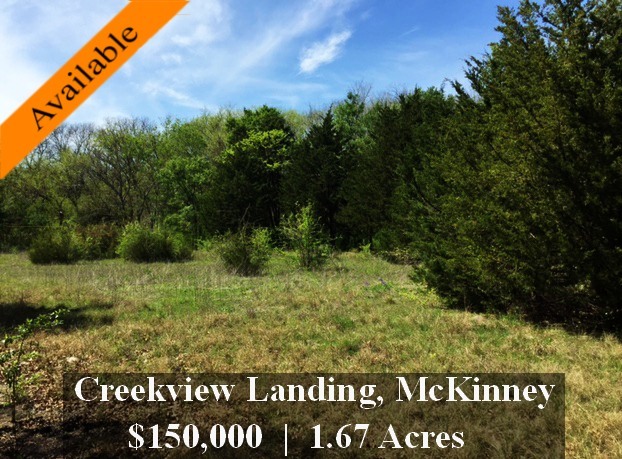 McKinney Custom Homes | Creekview Landing is a beautiful development with rolling hills and large lots. This heavily treed, 1.67 acre lot offers an extraordinary opportunity to build your dream home with experienced builder Aaron Buck with Aaron Buck Custom Homes. To build with the plans we have for this lot would be around $900K.